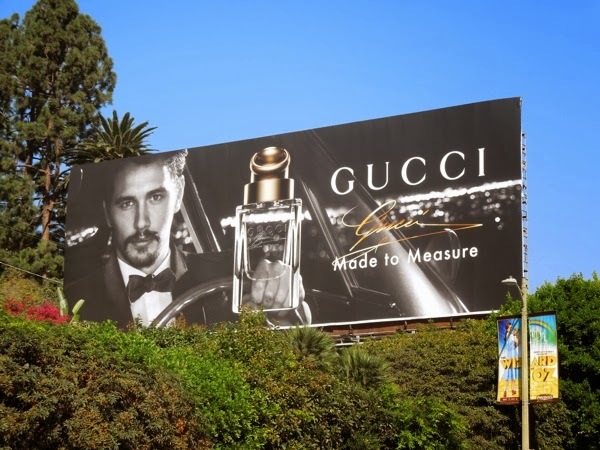 Versatile actor James Franco returns as the face of Gucci for their new Made to Measure fragrance for men this month, which is a natural progression, as he's already starred in Gucci's Made to Measure billboard for the designer fashion house's personalized tailoring and fabric selection service. 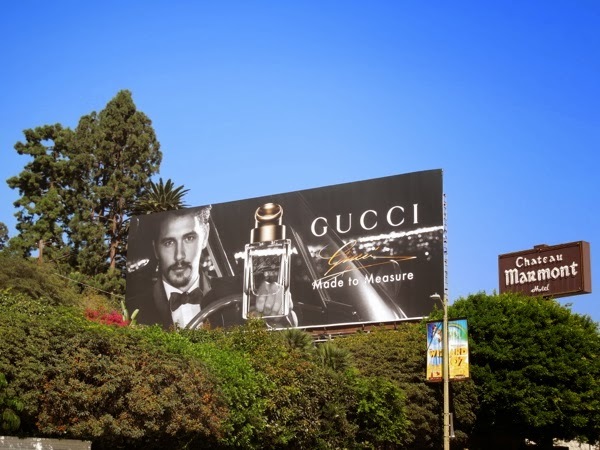 The handsome leading man looks smoldering, suave and sophisticated in this ad creative which screams Hollywood glamour with what appears to be the glittering lights of the City of Angels in the background. 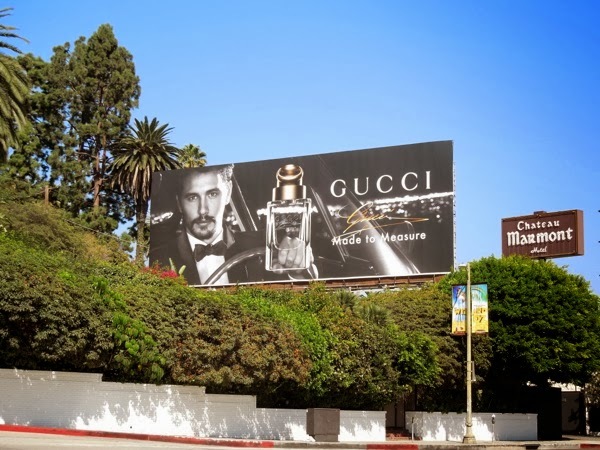 This stylish billboard for the new designer fragrance was spied along Sunset Boulevard beside the Chateau Marmont Hotel on October 1, 2013. 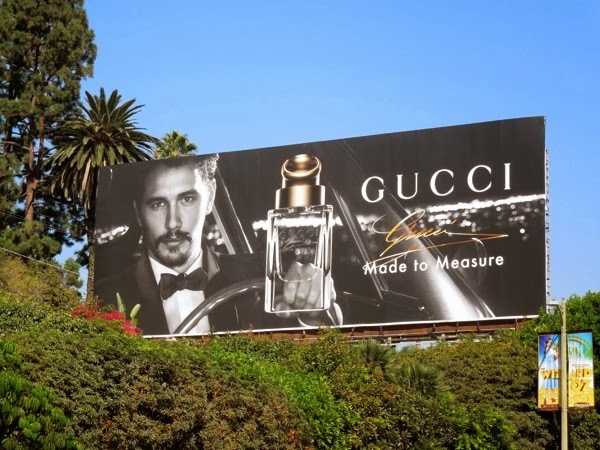 For the funnier side of the star of such films as Oz The Great and Powerful, Pineapple Express and Rise of the Planet of the Apes, be sure to also check out this four day installation of changing billboards for the James Franco Roast which was aired on Comedy Central on Labor Day this year.